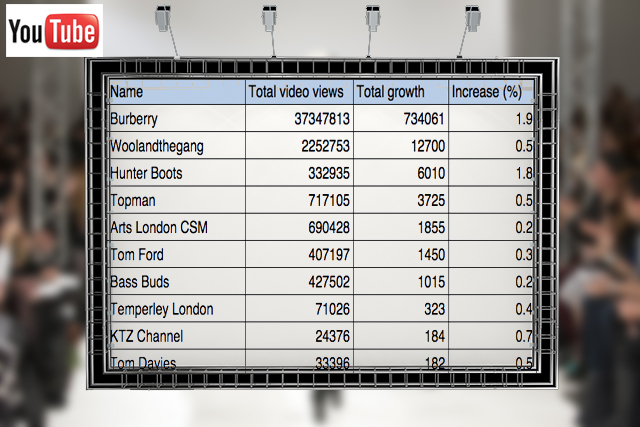 Burberry's digital-first strategy is paying dividends and the brand has successfully dominated social media channels during London Fashion Week. While fashion editors, bloggers and celebrities jostled for position on the front rows, an army of marketers and social media agencies were jostling for share of voice on social media platforms. 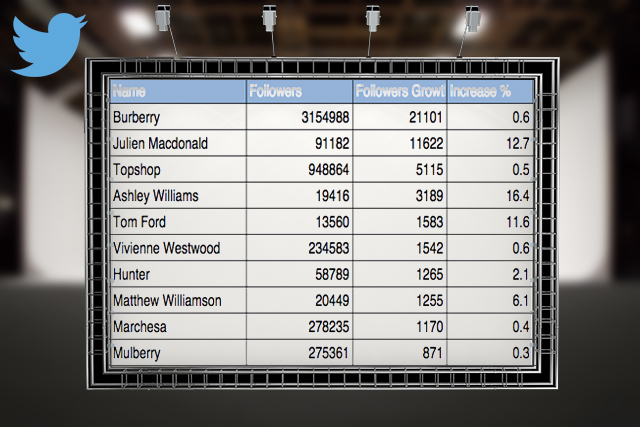 According to data from Socialbakers, the fashion brand topped the charts in terms of follower growth on Twitter, fan growth on Facebook and follower growth on Instagram. 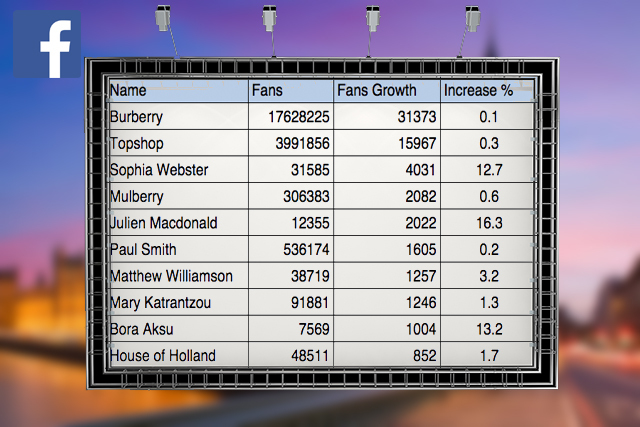 Topshop, which has also focused heavily on social channels during London Fashion Week, also experienced solid growth. 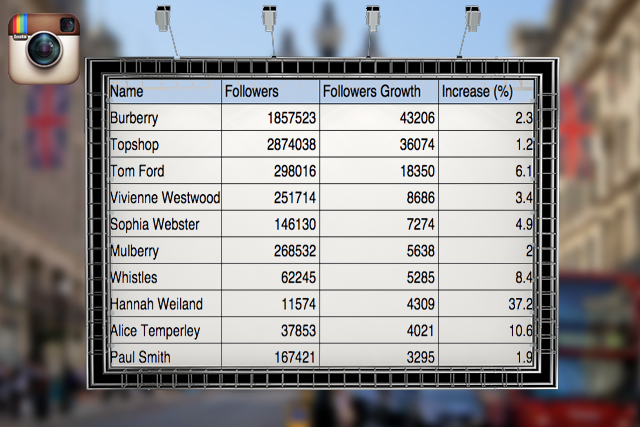 Fashion Week dominated Twitter over the last fortnight in both London and New York, with a collective 1.27m tweets sent. 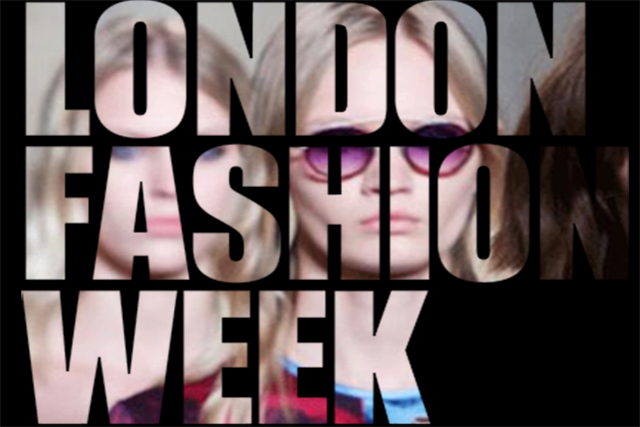 However, according to data from SocialBro, New York Fashion Week generated more engagement on social channels than London - with #NYFW generating 87 tweets per minute in comparison with #LFW which generated 44 per minute.